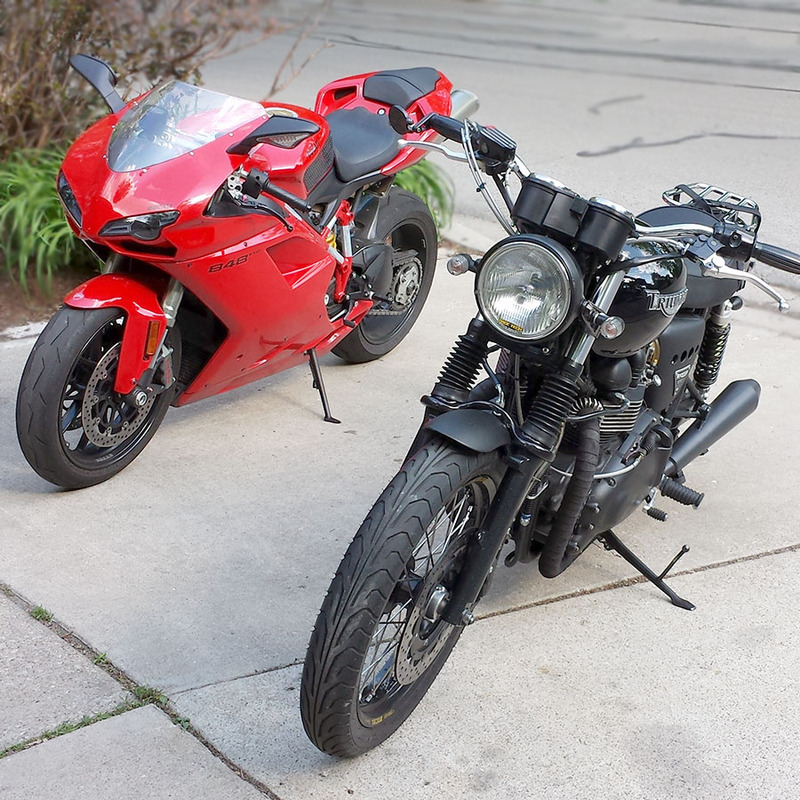 My friend Jordan stopped by Randy’s Garage on Sunday, May 18, 2014 with his new(ish) red Ducati 848 Evo! Jordan also has a Ducati Monster that he rode at the Motoworks Chicago Track Day in the fall of 2013. This was my first exposure to his Evo and a chance to look at one close up. We discussed the mechanics and process of suspension tuning based upon Chapter 15 of Lee Parks book: Total Control: High Performance Street Riding Techniques. When it became clear that tuning his suspension would require tools we did not have, and also a third person to help, we used the time to chat about motorcycles, family, work and life. Jordan and his Dad and brother helped me out of a jam last fall when I dumped my bike and broke my ankle in the process. They picked up my bike from the accident and moved it to a safe location, then later delivered it to my garage when I was home and recuperating. 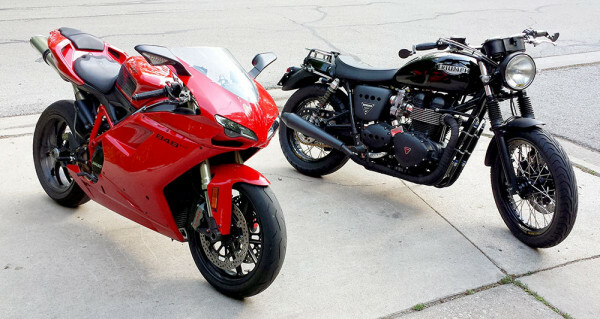 Jordan’s Ducati 848 Evo and Randy’s Bonneville at Randy’s Garage. 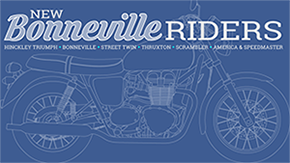 …always meant to ask, how much weight have you shaved off your Bonnie with the various mods?